BERLIN, Germany—When you have a free competitor as hugely popular as Google Translate, your only valid option is to make the most of it. 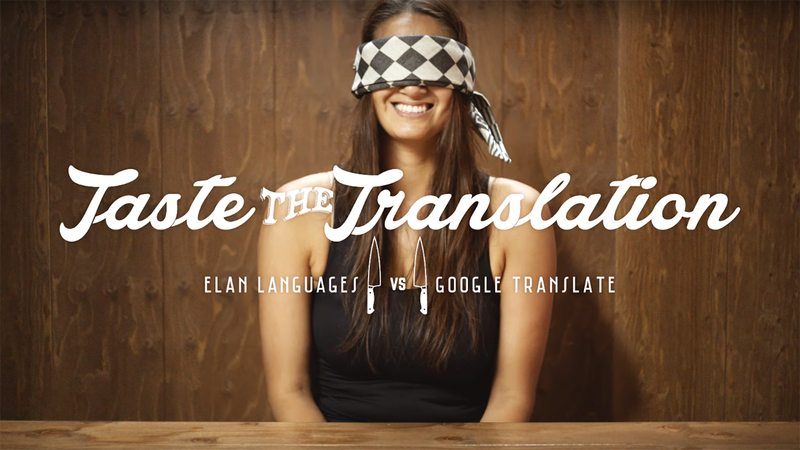 That's exactly what translation service ElaN Languages decided to do (with help from JWT Amsterdam) when it created "Taste the Translation." The project's video shows a chef cooking the same Japanese recipe as translated by ElaN's team of human experts vs. Google Translate's automated results. From the outset, Google's version shows its faults, which only get more challenging for the chef—and especially for the taste testers. The project debuted earlier this year but didn't get much attention beyond the Netherlands until it hit the festival circuit, winning bronze at the Clio Awards and, this week, taking gold in the consumer direct category of the international Epica Awards being judged by advertising journalists (including myself) in Berlin. For ElaN, the goal isn't to get people using its free online translator. In fact, it advises visitors to avoid using any free tool for translations that go beyond a few words. The real value in "Taste the Translation" is in showing the importance of using professional translation for documents where careful phrasing matters. It might prove to be just enough of a nudge to make cheapskate businesses rethink their usual approach of just running content in bulk through free tools like Google Translate. Otherwise you might end up eating crow, while your customers eat plastic horses.